So much has been said about the creative background of 'Victor Mangtanggol'. That it is a rip-off of Marvel's 'Thor'. That no matter how they explain the originality of it; Norse mythology being a public domain and stuff, its similarities from a worldwide blockbuster is so hard to miss. However, how much of its creative and entertainment value can be discredited by its resemblance to an already existing material? How much of what's original in it can be overshadowed by what looks similar? My take is, don't judge something if you have not seen or watched anything yet. I have to admit, I wasn't that excited to watch the first episode of Alden Richards' comeback on primetime. Some of the entertainment bloggers were invited to an advance screening and I was not sure if it will be a rewarding experience. The pilot episode began with the usual backgrounder of how the superhero's existence started. Here, airs a showcase of special effects that we don't see regularly on local TV. Again, setting aside arguments of originality and whatnot, it's a delicious 10 minutes of visuals that could tickle even the geeky. Reese Tuazon, Chynna Ortaleza and Janine Gutierrez wrap up the exclusive advance screening of 'Victor Magtanggol' for the bloggers and select fans at Cinema '76 Anonas. In its entirety, however, the series is not all about the pomp and the visual spectacle. Neither is it about the 'hammering' actions which we would expect from a show that is set to rival 'Ang Probinsyano'. 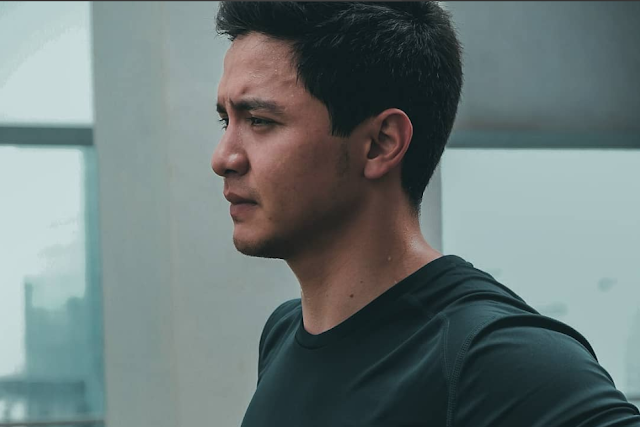 What floated are the sincerity of Alden's portrayal, the surprising hilarity from the supporting characters, and the greatest lesson of doing anything for your family. It's really about the perfect blend of action, comedy and drama that wiped out questions of its concept, converting it into the entertainment that you would need to complete your evenings with the family. The tenderness of it all, which is an ironic takeaway from a superhero series, elevated the relevance of the new show over the questioned legitimacy of its concept. That dependent on how the show will progress, what we are so busy arguing now maybe insignificant in the episodes to come. May it be because of Alden Richards' fantastic performance or the perfect pace that we usually see in pilot episodes, 'Victor Magtanggol' is a good addition to your evening habits. That if it promises to be consistent, it is worthy of a second look.